From Oscars to Olympics, NEP provides the technology, the people and the know-how that enables clients to produce the world’s biggest live and broadcast events around the globe. NEP’s team of more than 3,000 employees is driven by passion and a focus on technical innovation, and together they have supported productions in over 65 countries on all seven continents. Headquartered in the United States, NEP has offices in the United Kingdom, Ireland, the Netherlands, Sweden, Norway, Denmark, Germany, Finland, Switzerland, Belgium, the United Arab Emirates Australia and Canada. NEP The Netherlands is the international leading outsourcing partner in television and internet capturing for public and commercial broadcasters. NEP develops automated production workflows and delivers (distribution) solutions, tailor made turnkey technology, committed and passionate operators, 24/7 service and is expert in live productions, sports and entertainment. 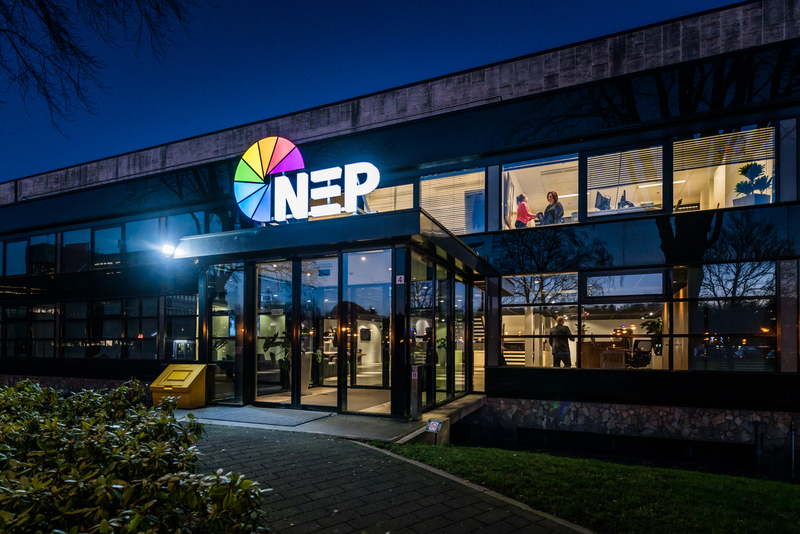 Besides studios in Hilversum, Utrecht and Amsterdam, NEP The Netherlands facilitates in OBV’s, ENG and SNG services, MCR/playout, motion graphics and wireless connectivity. The foundation of NEP’s infrastructure is a private, 100% uptime darkfiber network. With this network, over 250 video montage sets are connected to the centralized facilities for editing, playout and storage. The infrastructure is prepared for future technological developments, which enables flexible renewal as new formats and techniques require further innovation. With its extensive and advanced IT expertise, NEP’s Media Solutions team is transforming the way video is created, managed and distributed globally. NEP is highly experienced in capturing, playout, post production, remote and cloud production, studio productions, host broadcasting, media asset management, multi-screen delivery, end-to-end solutions and OTT display installations. NEP possesses the knowledge and experience to deliver live capturing to SmartTV or tablet at home, successfully and cost-efficiently – from the smallest local events to the biggest international events. NEP is a world leading encoding house certified for content delivery to all major VOD platforms. We facilitate all major VOD platforms in The Netherlands, from development with the latest technologies and hosting, to ingest processing and delivery of content. NEP The Netherlands is a very people-driven organization. Each man and woman has a deep passion for and affinity with the media industry and often with a specialization in sports, classical music, entertainment, drama or talk show. Our team is continuously trained on new technologies, workflows and specializations. We stimulate growth, innovation and ambition, because we believe that the highest level of knowledge is needed in the rapidly changing media industry.